Yesterday was an amazing experience! Nadir had an extremely fascinating discussion on LDL cholesterol, insulin resistance, longevity, and even the problems with how industry conducts the science on how we study heart disease. He had a number of graphs, flow charts, and illustrations that brought through the message impressively. He even covered lesser known protective aspects of LDL such as disrupting quorum sensing used by bacteria. I don’t even know where to begin with this spectacular presentation. 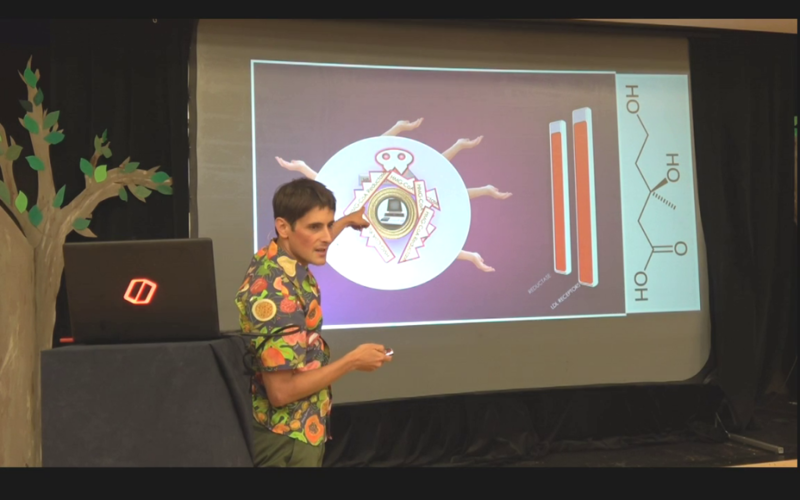 Nick took us on an animated journey though biochemistry like nothing I’d ever experienced before. He painstakingly animated nearly every slide so we could observe the processes he was describing in deep detail as though it were happening in front of our eyes. While it was delightful to see his naming me as one of his inspirations for taking his presentation in this direction, I can assure you he certainly took this to the next level. If you like my use of animations for presentations, imagine this increase by an order of magnitude… and for the record, I’m being quite literal here! I saved Siobhan’s speech for last as I can’t even begin to describe impressive it was. She has been working tirelessly on it for quite a while, and the effort truly shows. She managed to strike the perfect balance between dense content and friendly, accessible illustration. 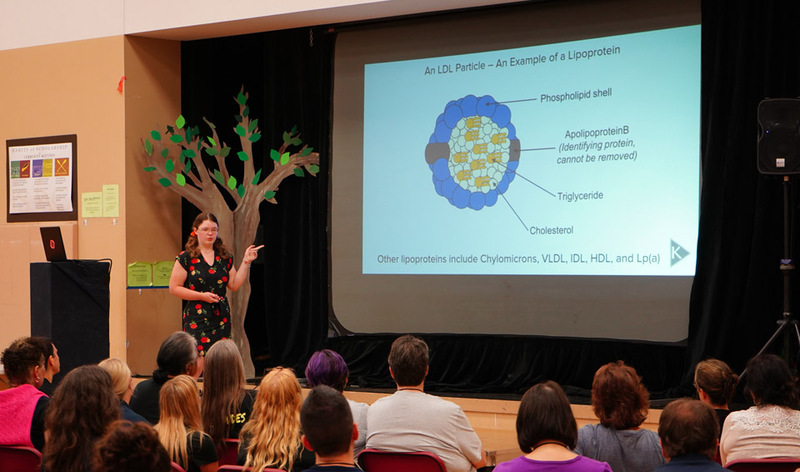 She discussed her personal journey into the research, the many roles of LDL, Lp(a), and the lipid system as a whole. Moreover, she elucidated the common misconception of inflammation and how it should be understood for the process of repair rather than the problem it’s addressing in the first place. And perhaps most important of all, she wraps it up with a discussion on the importance of not taking any marker in isolation and to see the system as a whole. As I remarked several times yesterday, I felt genuinely ecstatic for how powerful the messages came across from everyone above on the subject of lipids and cholesterol in particular. I’m not sure when all these videos will be available on YouTube, but we’ll certainly have a post up when they are — and I’d certainly give each of them my highest recommendation. Will talks be available online? Either pay or free? I believe at least some of them will be online, but not for a while. Or at least that’s what the 2 keto dudes inferred in one of their podcasts. I think they wanted to entice people to go to Ketofest, instead of waiting. I really wanted to go (was there last year), but Ketofest happened the same exact weekend as a retreat our family went on. Hopefully these won’t be scheduled at the same time next year. They will soon be available on YouTube for free. I certainly would want to be the first subscriber to your biochem animation videos! It was an exceptional learning experience you gave us into biochemistry on and one of my favorite subjects to boot! I watched your presentation via the streaming during the event. If my chemistry teacher had been half as effective delivering information as you were, I would be a retired chemist now. instead of IT professional. I hope you continue to spread your knowledge via ketofests, ketocons, etc. AWESOME! Congratulations to Siobhan on her success! I assume more on that will be coming and I look forward to it. I’m also *hoping* the 2 Ketodudes will include some of the talks on their podcasts. Listening to either talk without watching it would be a class one felony! And yes more in the works as always. Darn it. I should have been there!! I couldn’t make Ketofest this year but can not wait to see these presentations! I’m 2+ years Keto and all my blood markers are great with the exception of extremely high LDL, ApoB, and slight inflammation. Now I am on a quest to figure out why. Thank you for your work and this post. Hey thanks for all the great info. I stumbled upon this page after doing some searching. I have been on a keto diet for about 9 months, I have lost almost 40 pounds but just got some blood work and compared it to what it was at this time last year and got scared because my LDL jumped up so high. Reading through here it seems like this isnt uncommon, so that is good. 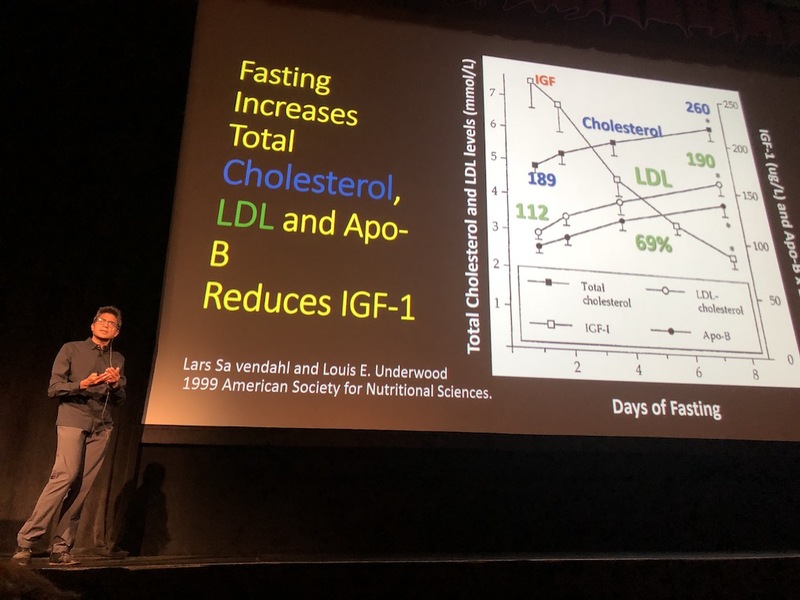 Great presentations at Ketofest 2018. I thought everyone was great and I have watched them over several times . You were all great . I ran into this article and was wondering if anyone has some more thoughts about the ideas of the article by Vladimir M.Subbotin “Excessive intimal hyperplasia in human coronary arteries before intimal lipid depositions is the initiation of coronary atherosclerosis and constitutes a therapeutic target” Theories like this could go a long way to explain what we see in Dave’s experiments and the discord with modern diet heart hypothesis , any thoughts ? I had actually read that paper a while ago when I was first starting in this space. But I’m glad you re-referenced it as I think I’ll reread it again given my new level of understanding/knowledge. During longer fasting periods (>14 hours) LDL and apoB go up because they are helping to supply energy to your cells. However, over the longer term (if tested while fasted 12-14 hours) those who do intermittent fasting can see their apoB and LDL go down over the longer term – if it was high due to a poor environment. It’s worth noting that there are various situations where apoB can be high – some due to injury or infection (bad over long term), some due to fat-based energy demands (jury is out on whether this is truly “bad” or not, but some studies suggest it may not be bad in itself). The former is marked by low HDL, and high triglycerides, the latter is marked by high HDL and low triglycerides. IF – in the studies I’ve read – also tends to raise HDL and lower triglycerides, likely indicating it’s moving the person towards a more positive profile. I would expect LDL and total to be higher on a fat centric diet. It looks like you’re a lean mass hyper-responder. LDL particles transport fat-based energy to cells after all, so a higher demand for fat-based energy (due to diet) can yield a higher number. Is it common to have a high apolipoprotein B when LDL is high? The little A is low but B is high which is confusing. I attempted to research this online. Yes, I would expect as much. LDL-C is the cholesterol being carried by LDL-P (the particles). Each LDL particle has 1 apoB on it. So higher LDL-C would go hand in hand with higher apoB as a consequence.